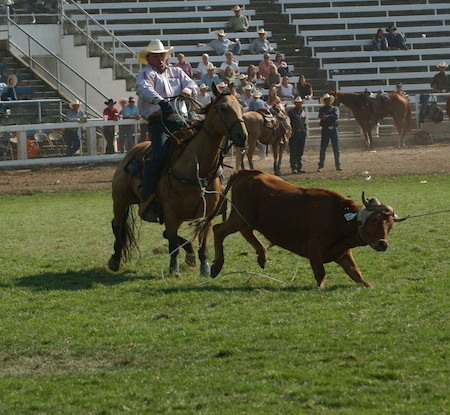 BJ Campbell is a PRCA Team Roper & Steer Wrestler. A 3-time National Finals Rodeo qualifier, Campbell joined the PRCA in 1998. With more than $700,000 in PRCA career earnings to date his No. 1 goal is to join the elite few that have earned a million dollars in the PRCA. To learn more about BJ and view a complete list of recent and past rodeo accomplishments go to the ABOUT page. BJ is well known for his horsemanship and training abilities. A true All-Around Cowboy his training philosophies have been recognized throughout the industry. BJ is always accepting a number of outside horses. CONTACT him today for availability.